The fold down ironing board is becoming a challenge for my laundry room redo. I am looking for input here. 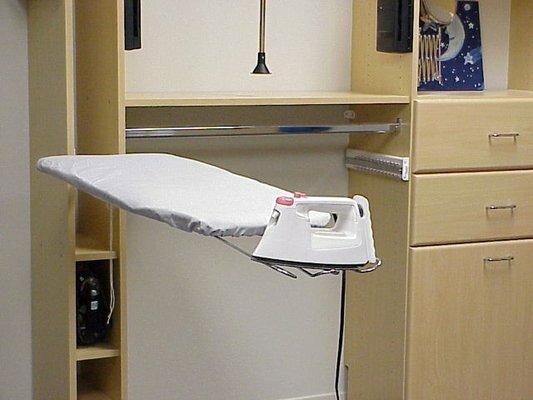 Does anyone have a fold down ironing board? Does it work? Where did you get it? Here are some of the things I am seeing on the Internet. 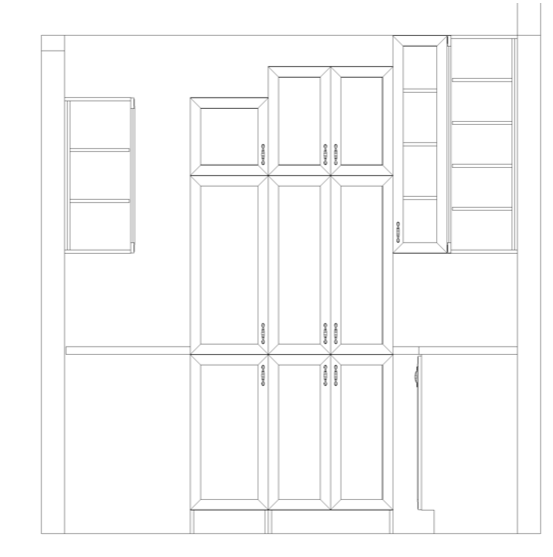 The first choice below is what is available through most cabinet lines. 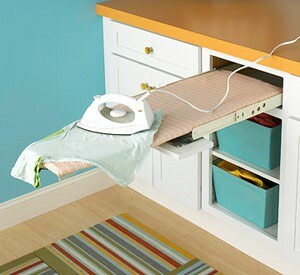 It is an ironing board that folds out of the top drawer of a base cabinet. But it is only in base cabinets of standard depth and mine are not. My entire wall of cabinets is only 12" deep. This second image looks most appropriate for my laundry room in concept. My cabinet person and I can't find anything like this so I figure it must be custom made. Have you ever seen something like this for sale? The third concept is interesting. It is from a closet company in California. A little far for me to drop in and see but it looks like it slides up into that tall vertical slot. 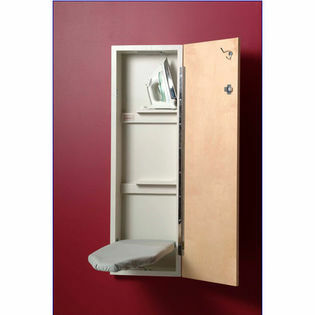 Any one know of a closet company that offers this - especially the hardware? The classic design available is this type of design to go against a wall. I would like the board a little longer and would really like just that hardware so I can put it inside our cabinet with a longer board. Send me along any resources you know of. I'd greatly appreciate it. Meanwhile, I have continued the back and forth discussions with Cindy at the Design Center East in Willimantic, CT. She is working with me in determining the cabinets that best suit my needs and budget. She sent me another series of plans from the cabinet software. We are getting closer. I like the layout of the above wall but the one below still needs some work. 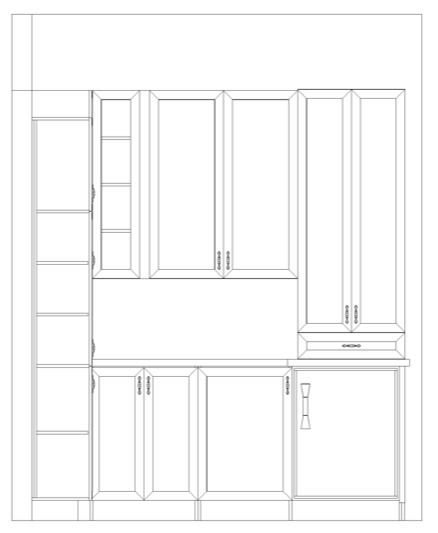 I sent in my ideas last night but I don't know the options for each line of cabinets. What element of the ironing board is the most important to you? I really like the 2nd one. 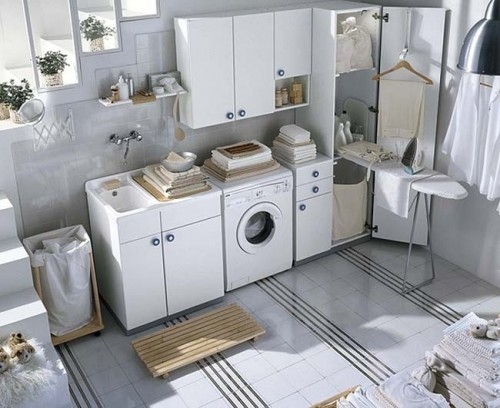 It's standard size and can be hidden away in the closet. 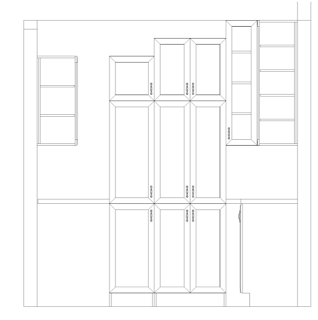 I'm not really sure you can incorporate it into your plans but its standard size and looks to not take up much space. LaNae, Thanks for the link and I went looking. The pivot mechanism was new to me. Hadn't seen that before. It won't fit my location though. 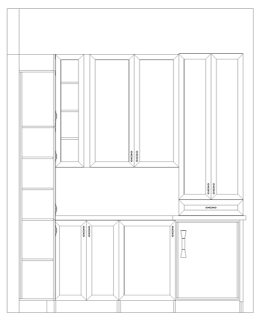 We have found a pantry cabinet that will probably allow for a custom solution. Custom solutions are good because it gives me another topic to blog about! Thanks for taking the time to search for me. I greatly appreciate it! Enjoy your day. There are some incredible pieces here!! !